A very good documentary about the EditDroid. When I worked at Disney Imagineering, we were using laser disc players in a lot of places, including EPCOT starting the 1980s. 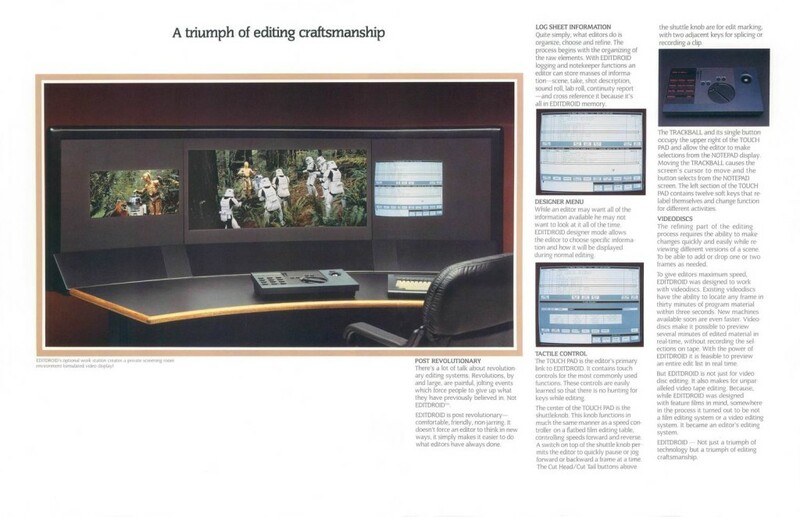 We were also innovators and early adoptors of nonlinear editing and video to film matchback. The EditDroid was (one of) the first nonlinear electronic editing system and used several laser disc players loaded with the raw footage of a film. The simple computer interface was unique for its time. 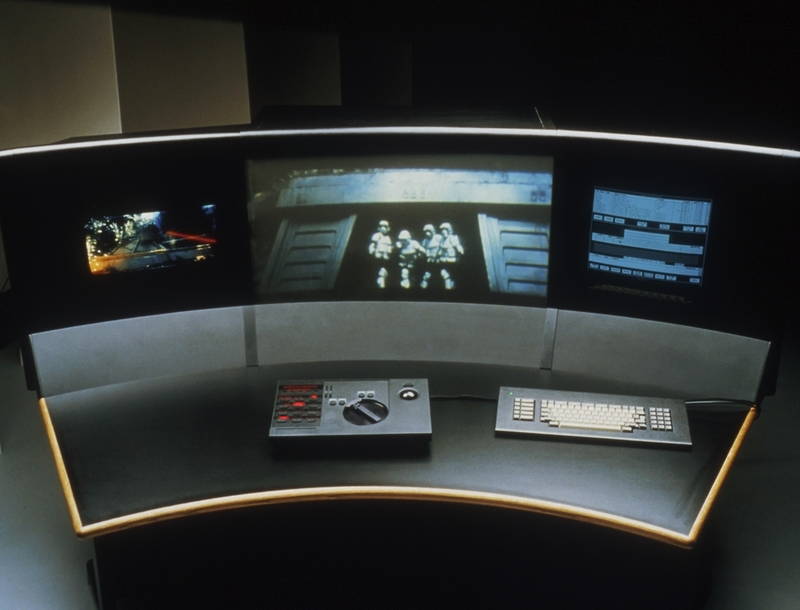 After a short period of success the EditDroid disappeared from the film scene and George Lucas sold the machine’s patents to a small company called Avid. 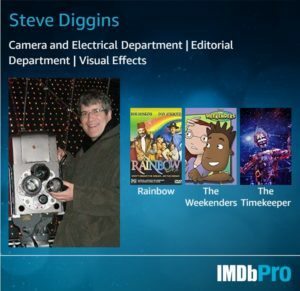 I highly recommend the book Droidmaker: George Lucas And the Digital Revolution. It is also available as an iBook and on Kindle.